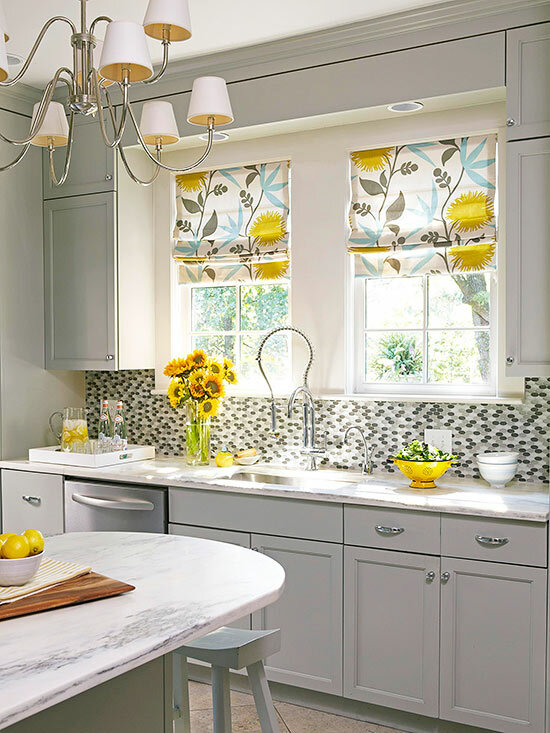 Roman shades are recognizable by their elegant arrangement and gathering of fabric, but they are also very similar to London and balloon shades. Know the difference before you begin. 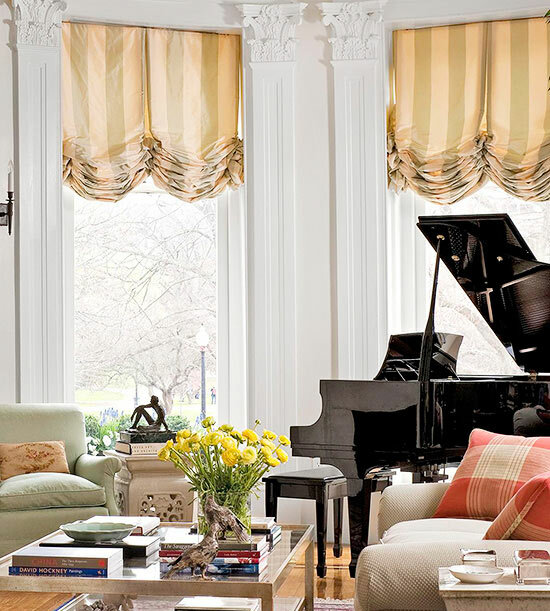 True to their name, balloon shades have a more billowy appearance and require more fabric to create. 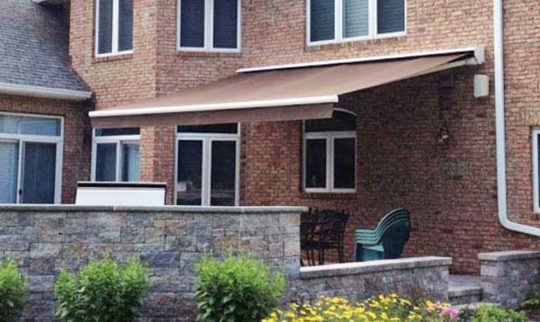 London shades are simple, yet more elegant, in their design. 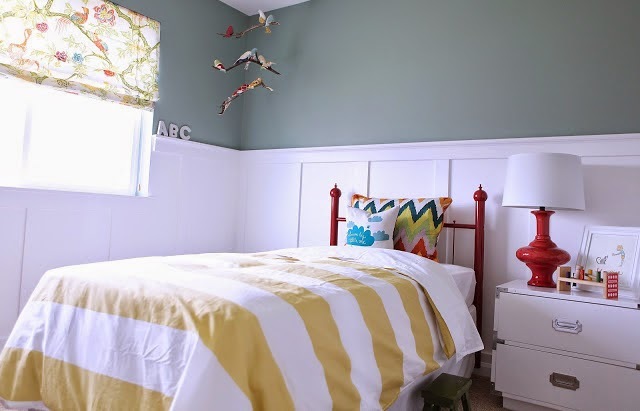 As with Roman and balloon shades, they are made from one, continuous piece of fabric. 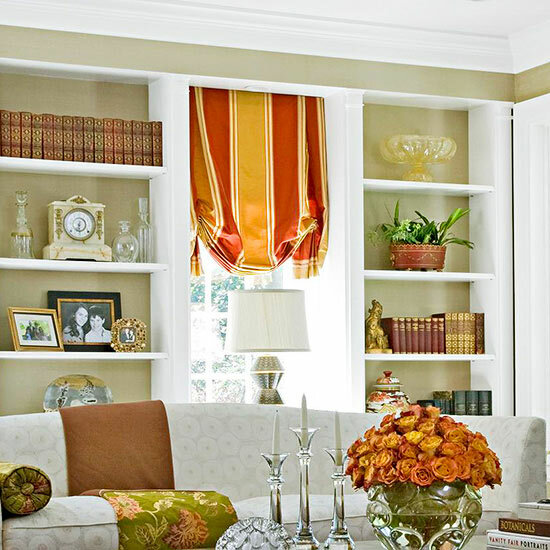 Roman shades are the modern cousin to London and balloon shades. With their minimalistic appearance and no-fuss design, they are the perfect solution to any transitional or modern space–and they work especially well in kitchens and dining rooms. 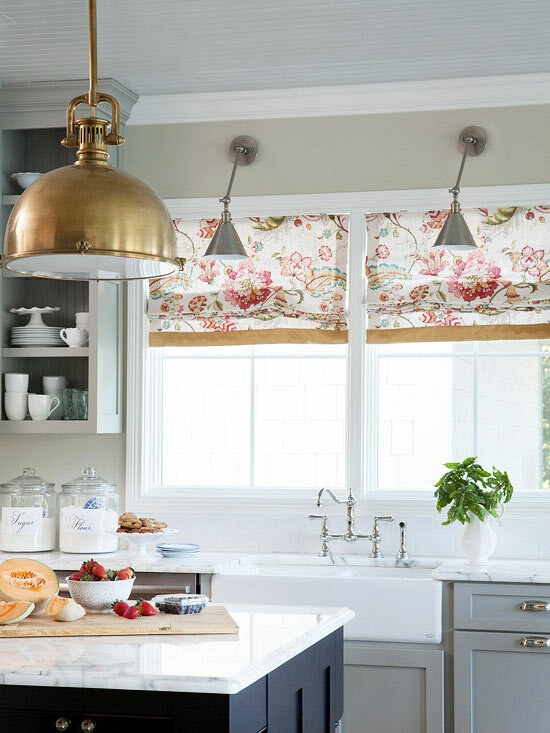 Because Roman shades are made with gathered fabric as opposed to hanging fabric, like drapes, the pattern you choose needs to be large and repetitive. Otherwise, the pattern will be unrecognizable and cause visual confusion. 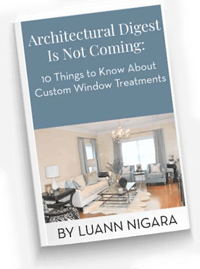 If you have gorgeous trim around your windows, don’t hide it. Do an inside mount. On the other hand, if you want to make your window feel larger and are not concerned about showing off the woodwork, go for an outside mount. 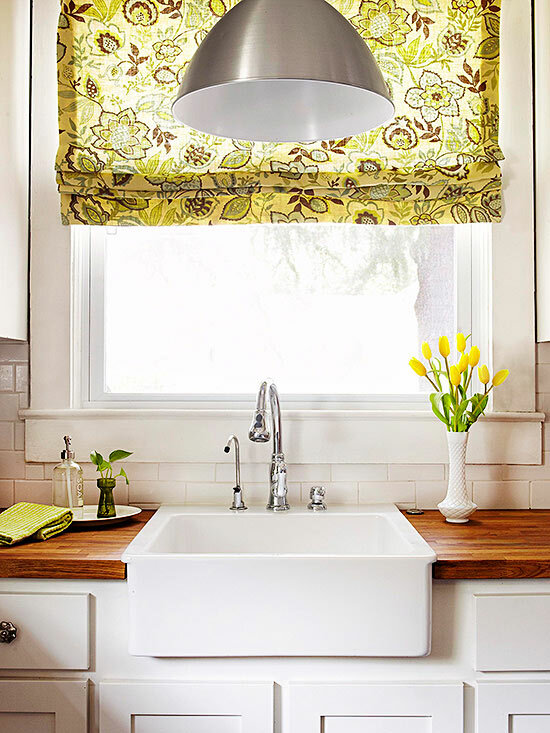 If you’re looking for decoration or just a bit of privacy, and you are using a lightweight or sheer fabric, unlined Roman shades will serve you well. 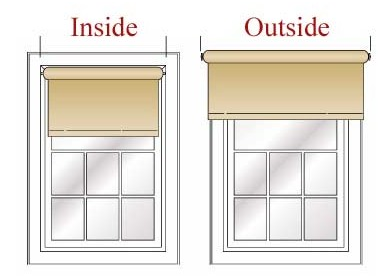 However, if you choose a fabric with a bit of body or you need to block sunlight or unwanted eyes from peering into your home, lining your shades is your best bet. 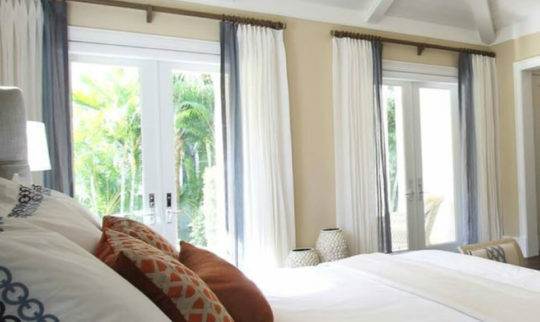 Adding the finishing touches to your Roman shades can take them from cookie-cutter to completely chic in a flash. From fringed edges to tassles or ribbon borders (as shown below), you’re limited only by your own craftiness and time allowance. 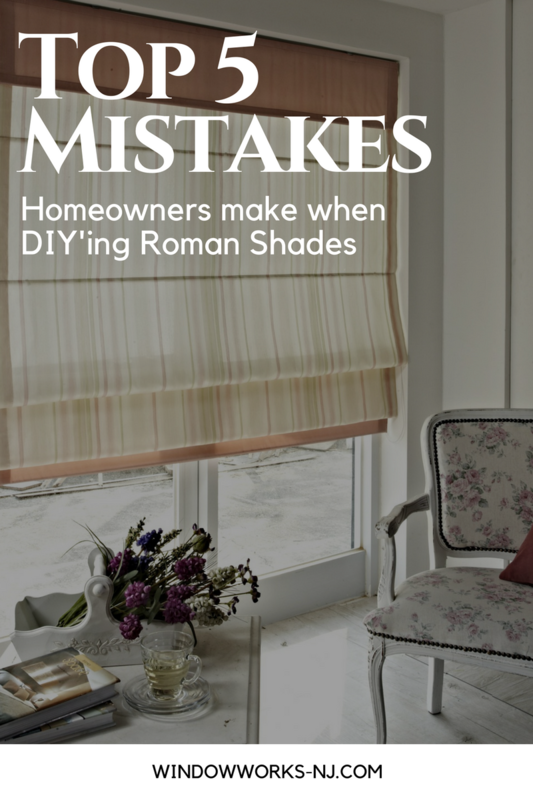 DIY’ing your own Roman shades can be tedious and challenging. After you choose the mounting style, fabric, and trim–and the other materials / tools required–you still have to make the darn thing. If you’re ready to tackle that project, go get ’em! But if you’re interested in hiring a pro to do it for you, give us a call. 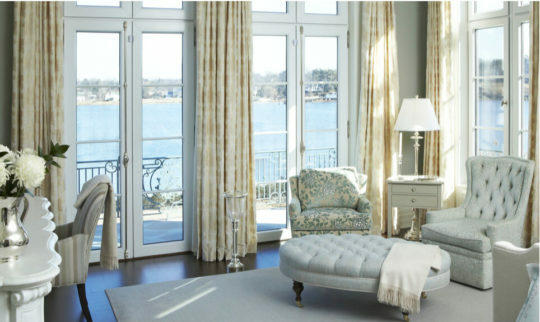 We speak your language, and we know window treatments like the back of our hands.